Free Tap Dance Lesson Warmup! I call this tap dance exercise “Can You Dig It!” It focuses on dig heels, weight transfer, pattern recognition, syncopation, and variations in the pattern when switching to other sides. Slow the tap warm up down if you’re a beginner tap dancer or speed up the exercise to challenge your advanced skills. Best part about this exercise? It’s perfect for all tap dance levels. 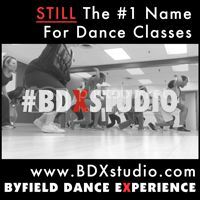 We’ll be using this tap lesson at my Toronto dance studio Byfield Dance Experience (BDX) regularly in class. Learn it, comment and enjoy!